According to SAMHSA, 11.6% of pregnant women aged 15-44 years, used alcohol, while 17.3% used tobacco, and 6% use prescription medications while 4.3% used illicit drugs . Research has shown that providing comprehensive drug treatment and prenatal care for the mother and child, significantly improves birth outcomes and child’s development. Pregnant women who are dependent on substances, can and have delivered healthy babies . Comprehensive addiction treatment for pregnant women can include medical detox, specialized treatment plan, pregnancy education and counseling, parenting education, individual, group, and family therapy, treatment for any co-occurring disorders, motivational interviewing, computer based motivational interviewing, parent-child relationship, and 12 step programming [2, 7]. Pregnant women need to be under a doctor’s care to detox from alcohol and/or drugs during pregnancy. This is to ensure both the safety of the mother and child. Pregnancy requires a specialized treatment plan to treat mother and child, and detox and withdrawal methods used will depend on the substance that has been used. The number of women who do receive treatment for addiction is low. In 2013 the Treatment Episode Data Set (TEDS), showed that women between the ages of 15-44 who admitted to substance abuse treatment facilities was between 4.4% and 4.8% . Many women who have received addiction treatment do so through publicly funded programs and research indicates that a majority of these women have co-occurring mental health disorders, experienced trauma, are on Medicaid, or lack health coverage, may by impoverished or lack stable housing, experience partner or community violence and may have legal issues [6, 7]. There are barriers for women seeking addiction treatment. Many women need intensive treatment but very few programs provide the necessary programs and aftercare. Pregnant women also face societal stigma and fear losing custody of their child(ren). Pregnant women also face other barriers of insurance coverage, or lack-thereof, lack of childcare and transportation to treatment services. Of the 13,700 substance abuse treatment facilities in the United States, only 12.7% of those were programs for pregnant or postpartum women, and 3.9% had residential beds for patients children [6, 7]. Resources for Pregnant Women Facing Addiction typically means detox. Detox typically means weaning off of the substance, slowly tapering the amount given over time until the drug is no longer needed. In some drug abuse patients, replacement medications can be used to help during detox. There are some medications approved by the FDA to treat opiate addiction in pregnant women, and methadone and buprenorphine are often used in pregnant women [2, 6]. With alcohol abuse, detox can include different prescribed medications but for shorter time periods . Medications can be incorporated into the detox treatment to reduce more serious withdrawal symptoms that could affect the fetus. The mother and baby are carefully monitored during detox. It is not recommended that pregnant women try to detox on own or at home. Intensive Family-Based Treatment (FBT) is used in substance abuse programs to provide direct services or referrals for services to include, substance abuse treatment, early childhood intervention, mental health services, family counseling, trauma therapy, housing resources, medical care, nursery and preschool options, life and parenting skill training and occupational training . Therapists look to engage the family in applying behavioral strategies learning in treatment to the home environment. Individuals are encouraged to develop behavioral goals for preventing relapse. Goals are set and rewards are used by family and treatment team when goals are reached . Comprehensive care is beneficial where the mother can receive assistance with discontinuation of substance, nutrition education,and prenatal care. For treatment facilities that work with families of an addicted family member, they are familiar with the specialized needs of pregnant women. Many women fear judgement, fear law enforcement, and fear of living sober. These concerns can be addressed when talking with the treatment center. Seeking early treatment can improve a woman’s health by labor and delivery. Also seeking early treatment can also reduce the likelihood that the baby will suffer serious consequences due to NAS . Women who seek treatment early also have a higher chance to maintaining custody of their child(ren) than those women who drug use is discovered at time of delivery or caught with the drug in possession. Hospitals are required to test newborns and/or mothers for exposure to drugs, and when found positive, the immediate or temporary custody loss is high. Women who seek treatment have a higher chance of keeping children in the home if they have demonstrated a commitment to recovery by delivery . Treatment that begins during pregnancy is known to be effective. Prenatal clinics, healthcare providers and emergency rooms are settings which most often identify substance abusers during pregnancy and either providing or referring treatment services . In an analysis of pregnant women in residential treatment showed a high predictor of abstinence if the woman had a longer length of treatment stay. Longer treatment was also found to be associated with abstinence, obtaining employment, fewer psychiatric symptoms, decreased involvement in the criminal justice system, and more positive parenting attitudes . Higher rates of retention were shown in residential treatment programs which allowed children to live with them during services administered. Engaging pregnant addicts in treatment is still a challenge. Pregnant substance users with heavier substance use, more psychopathology and involvement in the legal system were more willing to engage in a comprehensive substance abuse day treatment than were women with fewer needs. Typically severity of addiction and psychiatric issues are associated with early termination of treatment. In a review of 38 studies of substance abuse treatment for pregnant women, found to have higher positive outcomes when associated with the provision of child care, prenatal care, mental health services, a focus on women’s issues, and women-only admissions and comprehensive treatment . Other positive factors included parenting skills, family interventions, home visits during pregnancy to help prepare addicted women for parenting responsibilities, and parenting training. 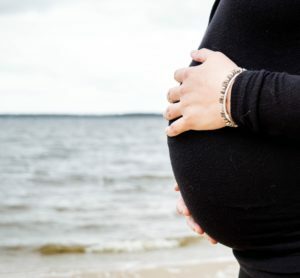 Resources for Pregnant Women Facing Addiction also include motivational interviewing and computer-based motivational interventions, and focusing on the emotional aspects of the mother-child relationship. Motivational interviewing is increasing the motivation for change through empathy, collaboration and setting goals for change . Research shows that women who are more compliant with motivational interview and behavioral incentives delivered higher weight babies and had higher rates of negative drug screens even if not drug abstinent. With motivational interviewing, pregnant patients need more intervention to keep appointments and had lower participation rates than non-addicts . Computer based motivational intervention programs are those that give feedback on the negative consequences of drug use, benefits to not using substances, and a summary related to the individual’s motivation to change . The emotional aspect of the mother-child relationship and help mothers understand their child developmental and psychological needs by increasing the parent’s ability to identify and appreciate the impact of their own internal states have on the ways the person perceives and interacts with their child . This approach has been shown to reduce parenting stress and maternal depression and increase mothers knowledge for caring for their child. What treatment resources would benefit treatment for an addiction for pregnant women?